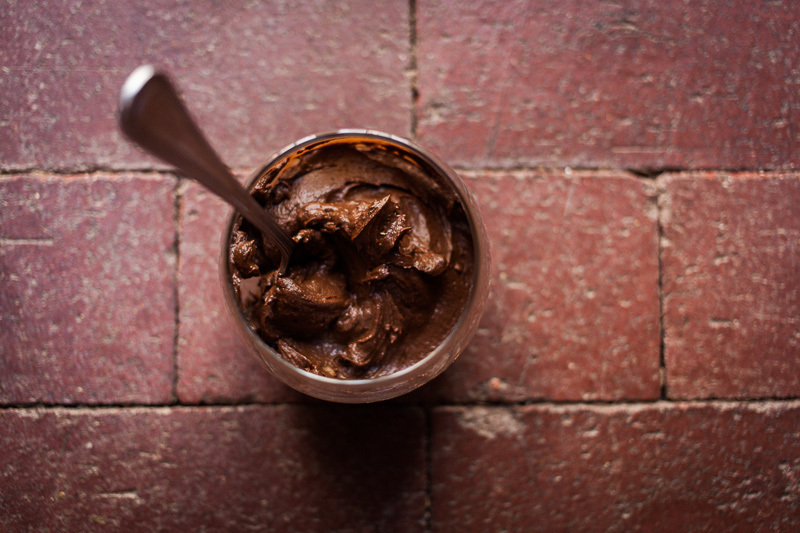 A healthy, rather delicious dessert: avocado and date chocolate mousse. This is a short and sweet recipe, and one that’s quick to make too (apart from the soaking of the dates). Plus, it’s dairy-free. 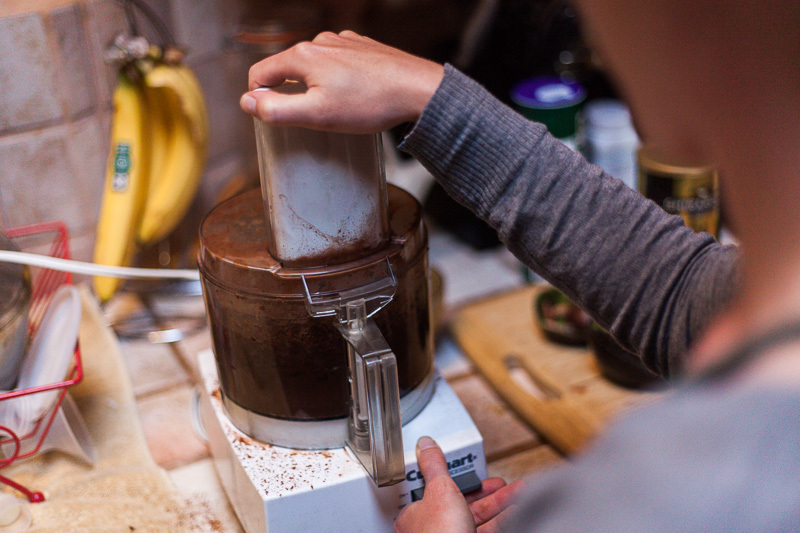 Blend everything together in a good processor, with the S blade. Spoon into glasses and pop it in the fridge for a bit before serving. You should have about 4-5 helpings. 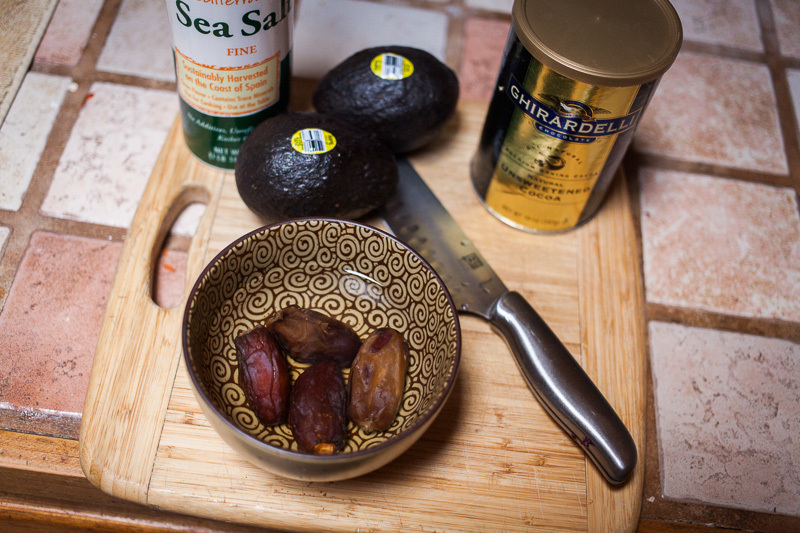 And the plump, pre-soaked dates – stones removed. 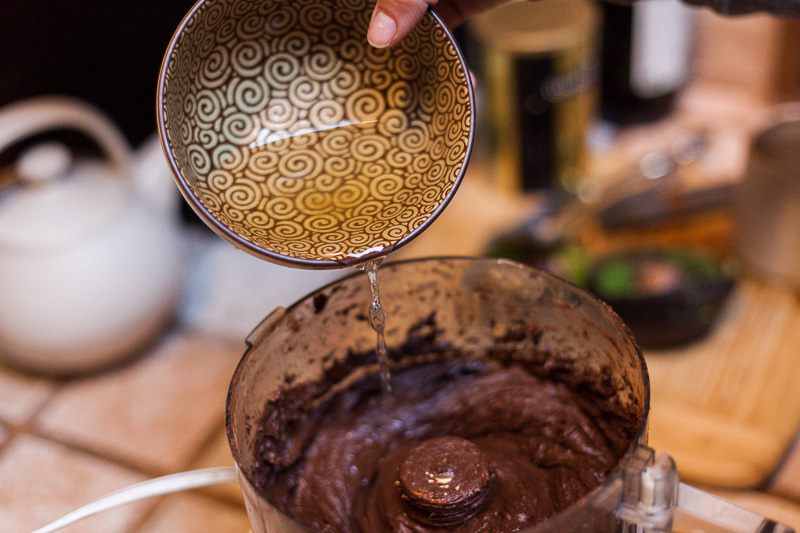 Pile on the cocoa powder, and a sprinkle of sea salt. 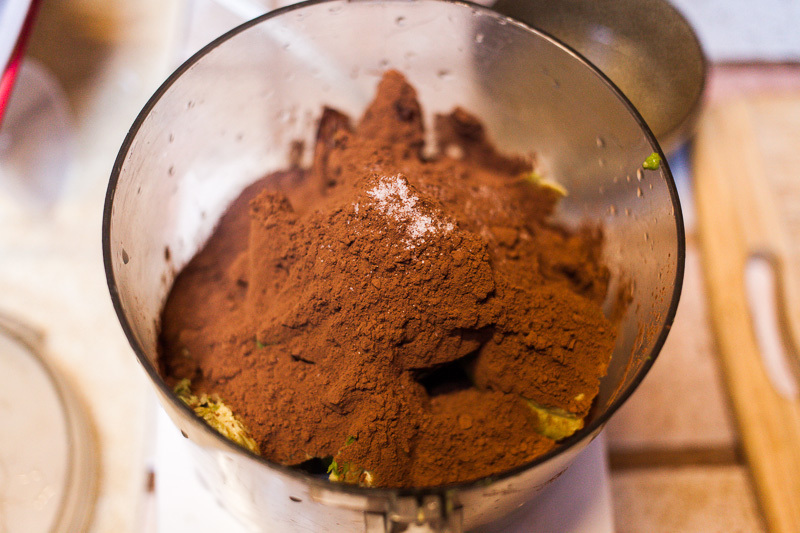 Give the blender a blast. Add the date water to get the consistency of your choice. If you want to really indulge, sneak in some maple syrup or maple cream. This entry was posted in Recipes on May 12, 2013 by Cass Gilbert. damnit!! I guess now I have to ride more to make up for this AMAZING desert. Thanks Cass! Yum! 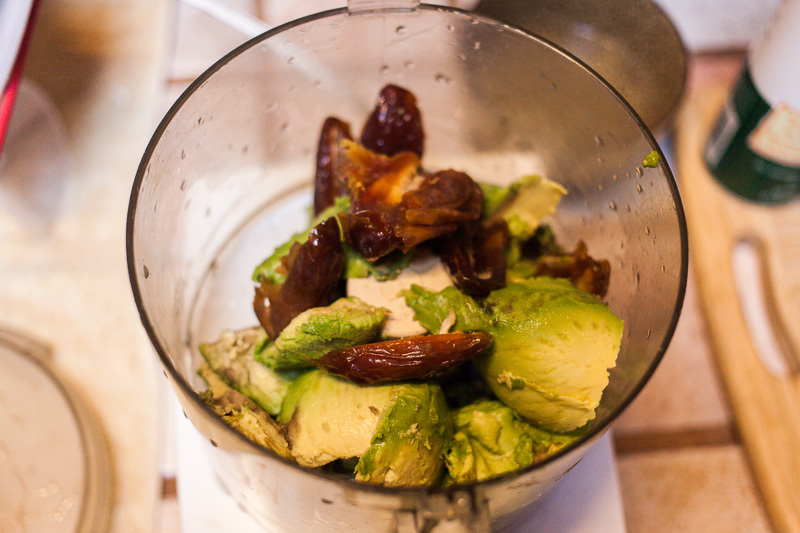 That sounds amazing, and I never would have thought of combining dates and avocado. It’s a good ‘un! It’s Nancy’s version of a recipe she found in a raw food book. 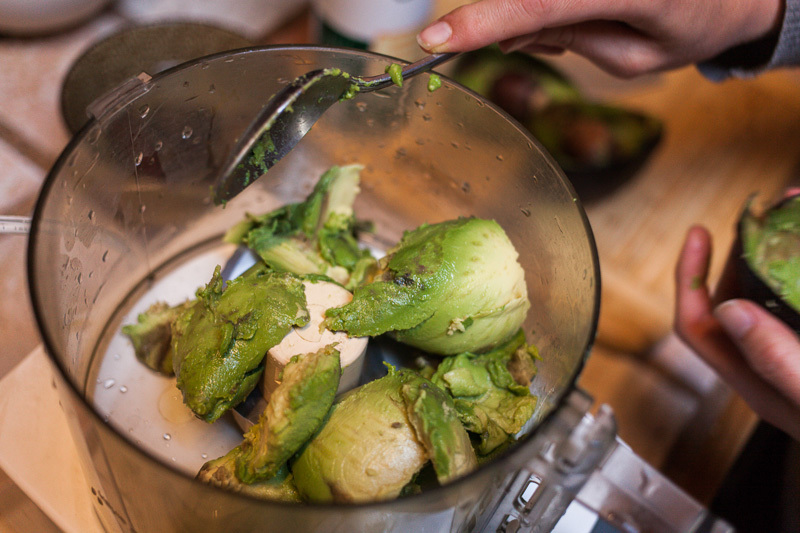 The avocado gives it a rich creaminess. Love it! An excellent use of nature’s butter (in the words of Thug Kitchen)! I must think of a way to simulate the blender in our camping kitchen setup. 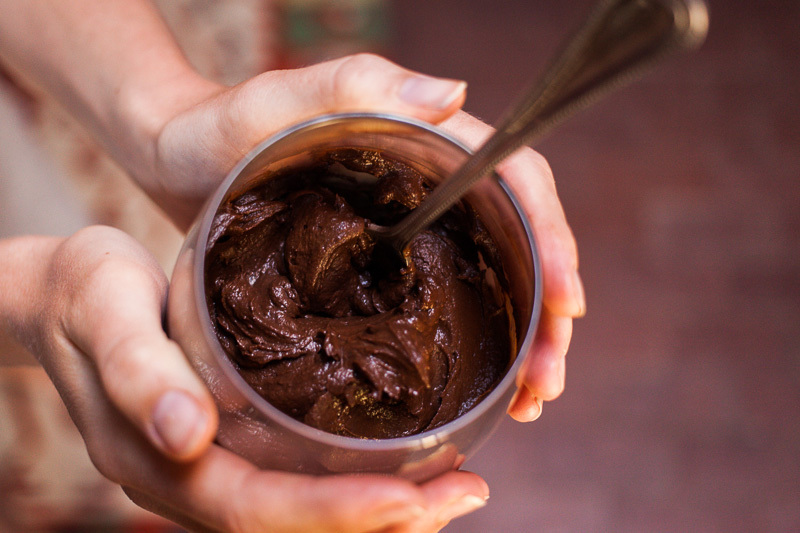 What a great recipe, i would have never thought to use avocados in a chocolate desert. I’ll have to try it out!! New to your blog, Cass, but I love the bikes, camping and food parts especially! I live in Davis, not 60 miles from where you were in Walnut Creek, but I grew up in Corralles, not 60 miles from where you currently live in Santa Fe. Great writing and photography, too. Looking forward to learning more of your adventures. I gotta try the mousse, too! We tried this tonight – yummy! Used about 1/2 of cocoa & honey (that’s what we had) instead of maple syrup. 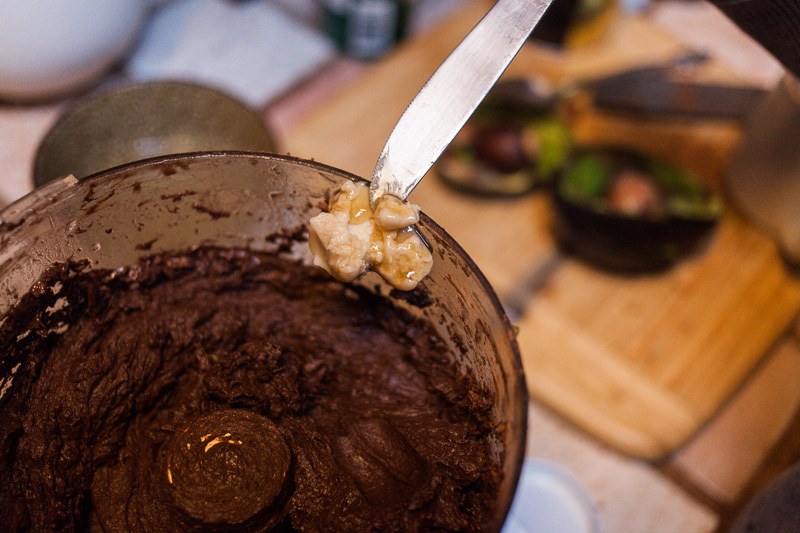 The food posts blend in – it’s not about the bike after all. My partner made this tonight. I was a bit skeptical when he listed the ingredients, however, one mouthful and I was converted. He left out the salt, so we’ll try it again with salt next time.